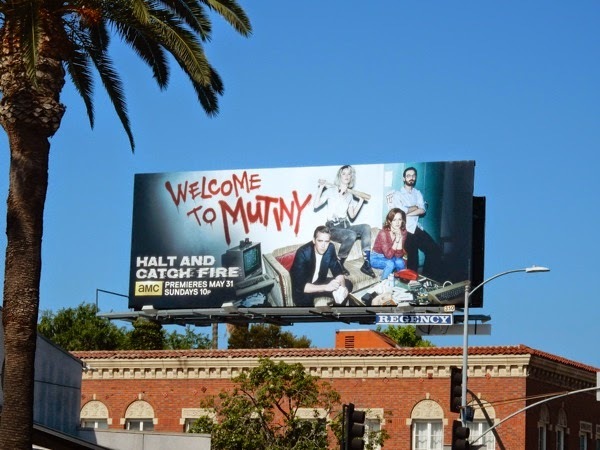 Get ready to travel back in time to mid-80's again for the sophomore season of the Texas-set tech-drama, Halt and Catch Fire. In the first season Lee Pace's Machiavellian executive 'Joe MacMillan' and his friends and co-workers at Cardiff Electric discovered that trying to compete with the big boys in the Personal Computer revolution was tough. 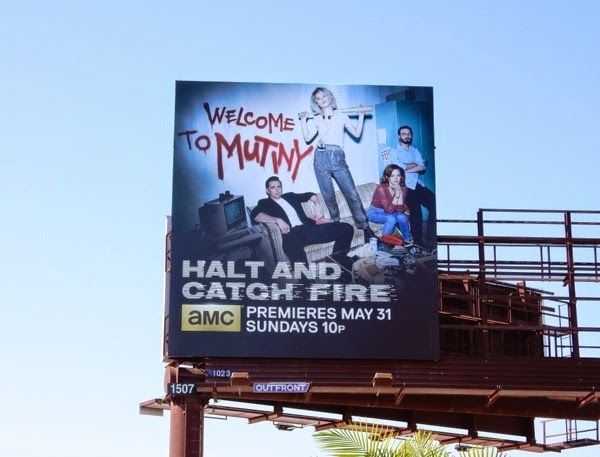 Along with super-talented coder 'Cameron Howe' (Mackenzie Davis) and Scoot McNairy's perpetually harassed system builder 'Gordon Clark', they did everything they could to launch heir own PC called Giant. But success is not everything it always seems. 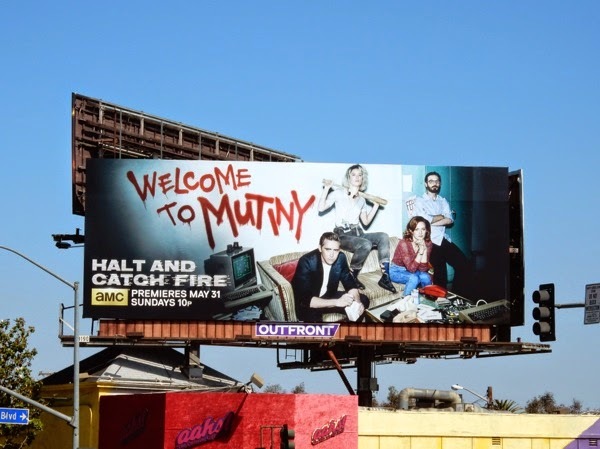 Now it's time to change the game with the new startup called Mutiny, founded by Cameron and Clark's wife, 'Donna' (Kerry Bishé). 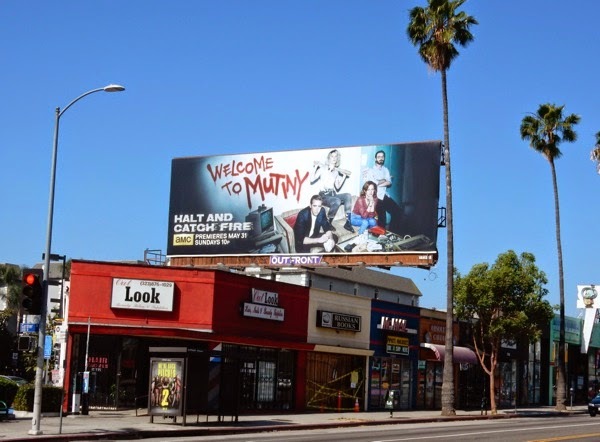 These second season 'Welcome to Mutiny' graffiti billboards certainly have that anarchic 80's feel and were snapped along Sunset Boulevard and La Brea Avenue on May 10, 2015. 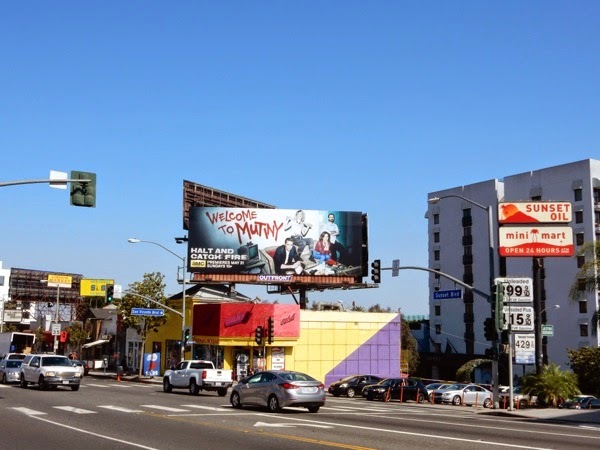 There's also something about these creatives that reminds Daily Billboard of The Walking Dead's mid-season five billboard, maybe it's the muted tones, or the graffiti writing on the wall which is similar to the handwritten message on the zombie show's ad, or maybe it's just the cable channel's latest design style. 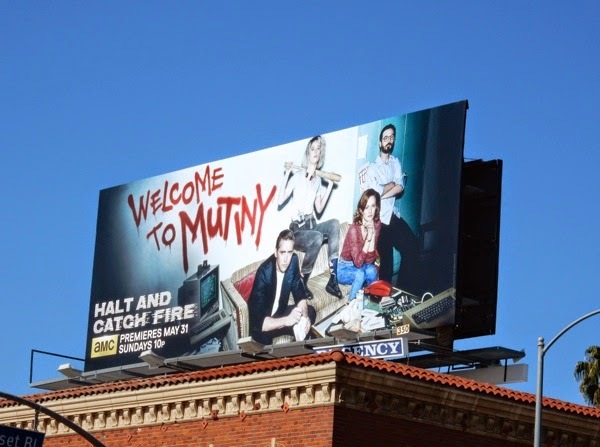 If you're a fan of 80's computer world drama, be sure to also check out these Halt and Catch Fire season one billboards that filled L.A.'s skies last May. 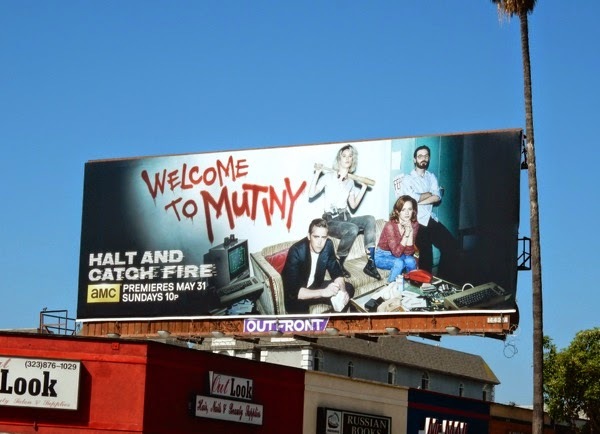 'Welcome to Mutiny', let chaos ensue.